Herdez Salsas are great go-to’s for quick, mexican sauce and salsa flavor. These are 2 cans of sauce you should have in your pantry for a quick fix of fresh tasting salsa goodness! Let me know if you use these or not, and how much you like them! 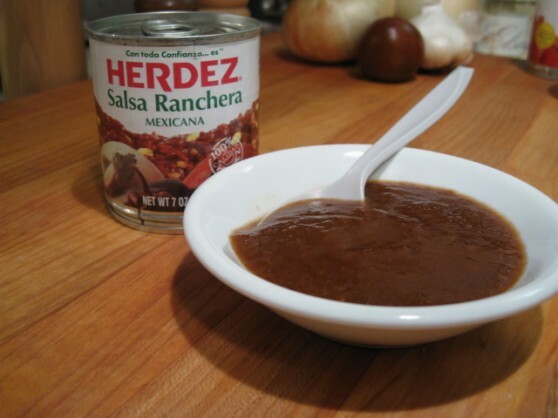 Salsa Casera is my favorite salsa of all time. 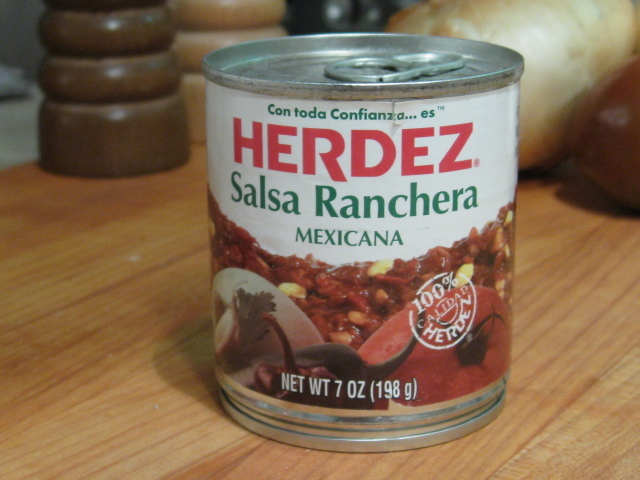 FYI: Salsa is spanish for sauce. 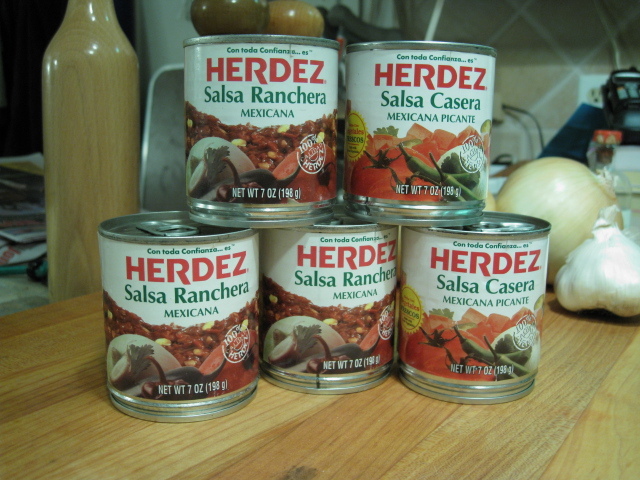 So all sauces are salsas and vice-versa. @GenghisPhlip – I know. It’s crazy what the 2 languages mean to each other. 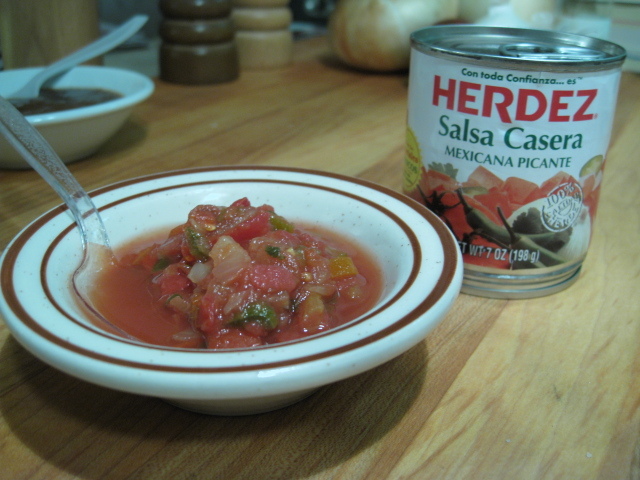 Pico de Gallo – rooster’s beak or pick of the house, which is it? And do you cringe when you hear Americans say ” Chi-poat-lee” instead of “chee-poat’-lay”? Thanks for stopping by. I could use a Mexicano Amigo to help me out! Looks good I will have to try some of this. You are right on about Herdez Salsa Casera. I have been touting this to friends for years, it’s simply the best on the grocer’s shelf. Hey very cool, bogart. They really are a great line of “go-to” sauces, off the shelf, toss them into recipes and you are good to go. Thanks for commenting and stopping by HSD! Wow…Herdez is expensive online! 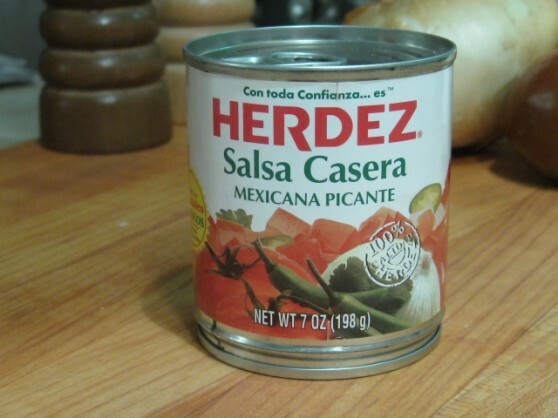 I’m in Chicago, and I get it in neighborhood Mexican grocery stores for about 75 cents a can or less. LOL, yes Laura it is pricy online… but in our local stores it runs about $1.29 or so. Thanks for reading!